It’s all about the eyes! Eyes are the main focus of the human face and women spend a lot of money to reshape, highlight and enhance their eyes. The modalities can vary from simple eye shadow to eyelash growth booster (Latisse), or to just simple and effective Botox or Dysport injection. Women spend a lot of time doing their make up, which must always be on point, and when your lids have loose skin, that creates creasing and smudging , which they absolutely hate. There is a variety of factors contributing to the development of lid hooding. Age, skin elasticity, lack of sleep, stress, poor nutrition, sun damage are a few to name. One cannot forget genetic component as well, as there are many women in their 30’s who are suffering from heavy eye lids. Lid hooding can be classified into mild, moderate and severe, and depending on the type, the treatment is tailored accordingly. What are available treatments for lid drooping or lid hooding? There is a variety of treatments that can be offered and the right treatment plan is usually designated after an expert consultation. There is no one treatment that fits all, and a good consultation will reflect on patients desired outcome. 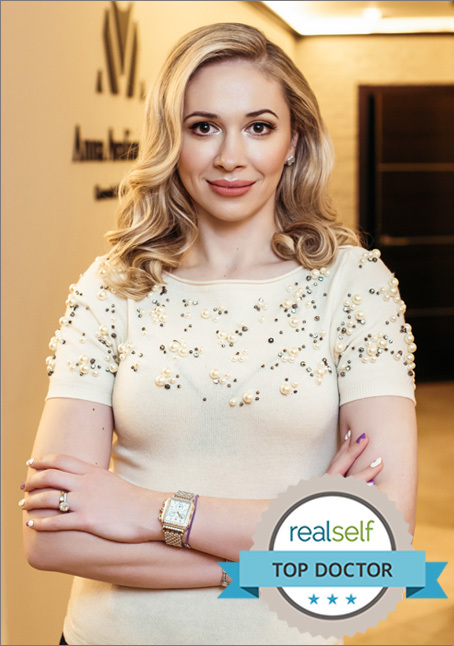 Dr. Avaliani offers complementary expert consultation where she will spend time, carefully evaluate your anatomy and skin laxity and will recommend that treatment that she things will work the best. To find out which option is best for you, please call Dr.Avaliani’s office to schedule your consultation.